Implement Wells 5S Hygiene System as part of your continuous improvement program and improve productivity, prevent cross contamination and maximise compliance. Wells through its team of experienced and trained staff has successfully assisted many companies 5S implementations in the area of hygiene and standardization of cleaning / food product handling processes. 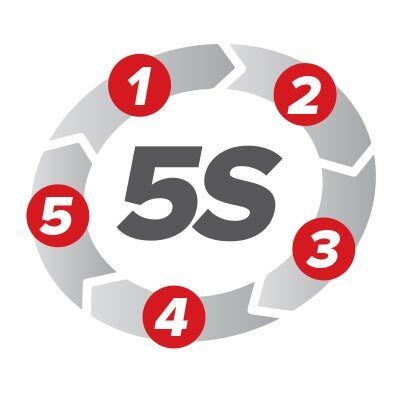 Should your organization be considering implementation of 5S, please give Wells a call to discuss the role of the Vikan hygiene system, and their associated value added services. Unique and clever storage systems. Follow-up service and ongoing after sales support. Clearing up your workplace, keeping only what you need. Organise, identify and arrange everything in your workplace. Regularly clean and maintain your equipment and work environment. Make sure everyone is doing the same thing in the same way. Ensure adherence to the system to maintain a safe and efficient workplace.